What Is a WEBM File? A file with the .WEBM file extension is a WebM Video file. It's based on the same video format that utilizes the MKV file extension. WEBM files are supported by most web browsers since the format is sometimes used on HTML5 websites for video streaming. For example, YouTube uses the WebM Video file format for all of its videos, from 360p up to really high resolutions. So does Wikimedia and Skype. You can open a WEBM file with most modern web browsers, like Google Chrome, Opera, Firefox, Microsoft Edge and Internet Explorer. If you want to play WEBM files in the Safari web browser on a Mac, you can do so through VLC with the VLC for Mac OS X plugin. If your web browser isn't opening the WEBM file, make sure it's fully updated. WebM support was included starting with Chrome v6, Opera 10.60, Firefox 4, and Internet Explorer 9. The WebM Video file format is also supported by Windows Media Player (so long as DirectShow Filters are installed, too), MPlayer, KMPlayer and Miro. If you're on a Mac, you can use most of the same programs supported by Windows to play the WEBM file, as well as the free Elmedia Player. Devices running Android 2.3 Gingerbread and newer can open WebM Video files natively, without any special apps needing to be installed. If you need to open WEBM files on your iOS device, you have to first convert it to a supported formatted, which you can read about below. See The WebM Project for other media players that work with WEBM files. If you need to use your WEBM file with a specific program or device that doesn't support the format, you can convert the video to a file format that is supported by using a free video file converter program. Some of them are offline programs that you have to download but there also exists some free online WEBM converters. Programs like Freemake Video Converter and Miro Video Converter can convert WEBM files to MP4, AVI and a number of other video file formats. Zamzar is an easy way to convert the WEBM video to MP4 online (it even lets you save the video to the GIF format). 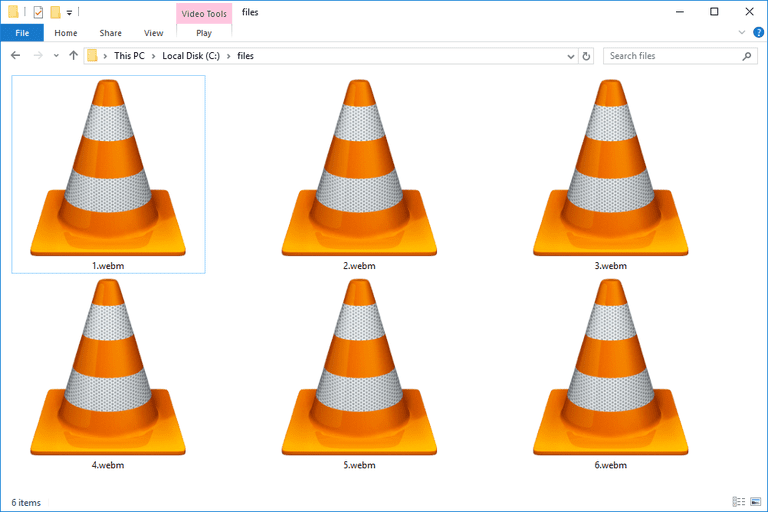 Other tools from that video converter software list can convert WEBM files to MP3 and other audio file formats so that the video is stripped and you're left with just the sound content. If you use an online WEBM converter, remember that you have to first upload the video to the website and then download it again after the conversion. You might reserve online converters for when you need to convert a small video file, else it could take a long time to finish the whole process. The WebM Video file format is a compressed file format. It was built to use VP8 video compression and Ogg Vorbis for audio, but now supports VP9 and Opus as well. WebM has been developed by a number of companies, including On2, Xiph, Matroska, and Google. The format is available for free under a BSD license. Some file formats use file extensions that look like they're spelled the exact same, which can imply that they're in the same format and can be opened with the same software. However, this isn't necessarily true, and can be confusing when you can't get your file to open. For example, WEM files are spelled almost exactly like WEBM files but are instead WWise Encoded Media files that open with Audiokinetic's WWise. Neither the programs nor the file formats are similar, and are therefore incompatible with the other format's file viewers/openers/converters. WEB files are similar but are Xara Web Document files used by the Magix's Xara Designer Pro software. As are WEBP files (WebP Image files used by Google Chrome and other programs) and EBM files (they're either EXTRA! Basic Macro files for Extra! or Embla Recording files used with Embla RemLogic). Double-check the file extension if your file isn't opening with the programs mentioned above. It might be in an entirely different format that none of these programs can open.